UR Online (https://uronline.net) is intended to facilitate communication among individual members of the alumni community and between alumni and the University. The University of Richmond is not responsible for the content of bulletin boards and will not routinely monitor their content. The University, however, reserves the right to reorganize or delete any postings or message boards and may at its discretion reassign a topic's ownership. The University of Richmond expects community members to exhibit the same level of respect for others in this forum as in any other university-related venue. The University may deny access to the secure portion of UR Online to any individual at any time. To safeguard the operation of UR Online, the University of Richmond has adopted the guidelines and policies that are used by the University to govern conduct, particularly conduct that occurs in an online environment. As members of the extended University community, alumni are expected to adhere to the University's Policies for Responsible Computing. The University of Richmond has taken all reasonable precautions to secure the personal information available through UR Online. The service is password protected to allow access only by registered University alumni. Furthermore, UR Online is located on a secure web site that incorporates the latest encryption technology. Although these precautions should effectively protect any personal information available through the service from abuse or outside interference, a certain degree of privacy risk is faced any time information is shared over the Internet. Through the "My Profile" feature of the UR Online web site, you have the ability to control the nature and amount of information available to other alumni. 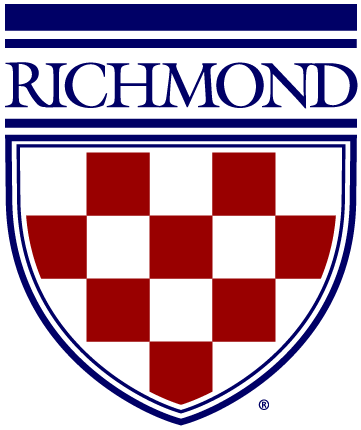 The University of Richmond does not warrant that the UR Online web site will operate error-free or that the site and its server are free of computer viruses or other harmful material. TO THE FULLEST EXTENT PERMITTED BY LAW, THE UNIVERSITY OF RICHMOND DISCLAIMS ALL WARRANTIES, INCLUDING THE WARRANTIES OF MERCHANTABILITY, NON-INFRINGEMENT, AND FITNESS FOR PARTICULAR PURPOSE. In no event shall the University be liable for any damages whatsoever, including, without limitation, incidental, consequential, or punitive damages, resulting from the use of or inability to use information or materials available on the UR Online web site. The University of Richmond reserves the right to discontinue any or all online services at any time or to revise the terms and policies of this agreement. When the policies are revised, they will be posted on the UR Online web site. You should review these policies periodically to ensure that you are familiar with them.